Known for its lasting elegance and compatibility, this water jet cut marble floor design is a popular interior décor element that you will find high-end places such as palaces, fortresses, and castles. Its stunning designs and patterns make it the focal point, grabbing your visitor’s attention the moment they set their foot in your house. 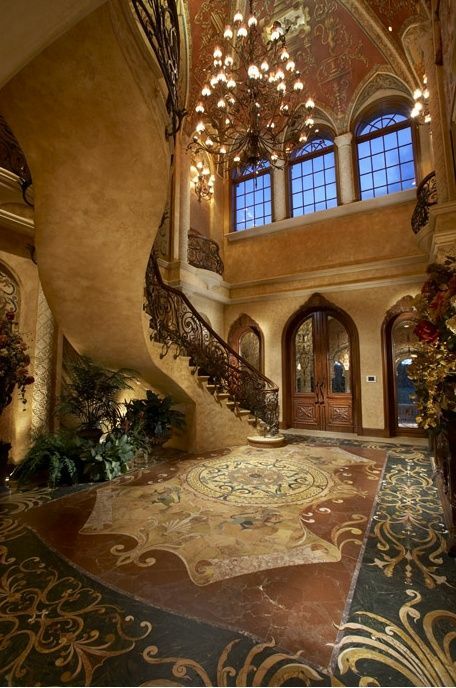 It’s no wonder it is commonly used in the foyer where creativity and elegance are a must. You need to use a unique and inventive piece of art that will help you make the right statement. This water jet cut marble design helps you to add a touch of life and lavishness to a rather ordinary space. And since you need a combination of different décor elements to make your interior design complete, a water jet cut is creatively designed to match a wide range of other ornamental add-ons, giving you a chance to spruce up your house on a small budget. This piece of art can go with almost any other type of design. Therefore, you can peacefully create your wall and ceiling designs without worrying about the floor because this floor design will harmonize everything including lights and flowers. The whole artwork is a combination of amazing colors creatively put together to bring out a unique and versatile unit that will surely transform your foyer into a luxurious space that people will admire. It features some natural shades such as brown, green, chocolate and cream. This mosaic will keep your house looking bright, welcoming, natural and prolific. What’s more, it can help you to fill up space especially if you are dealing with a extra large room that needs to be condensed. The combination of attractive colors and extra-ordinary designs makes this piece of art look highly valuable. You should therefore set it up in your house to make it look expensive and posh. Another interesting thing about this water jet cut floor design is that is built to last. The fact that it is purely made from high-quality marble is enough proof of its longevity and endurance. You therefore don’t have to worry about the amount of traffic you have in your house, especially in the foyer because this floor design is designed to stand up to the harsh conditions. What’s more, it does not require any specialized maintenance; you just need to clean it regularly with the right detergents and equipment. Posted 3 years, 11 months ago at 1:43 am.